EDM works by running an electric current between an electrode – for EDM Hole Drilling a thin brass or copper tube – and a negatively-charged workpiece bathed in a dielectric fluid. The resulting electrical discharge or spark removes metal. That’s pretty much all there is to EDM. Today’s EDM Hole Drilling technology offers a level of speed and precision that was unheard of even five years ago, with virtually no heat distortion or recast layer. Modern EDM Hole Drilling has many benefits including: the ability to cut through nearly every conductive material with ease; pressure-less cutting with no distortion even at extreme entry angles; the capability to drill very small, very deep holes with a depth/diameter ratio of 200 or more; and a small-hole drilling speed that few other processes can match. 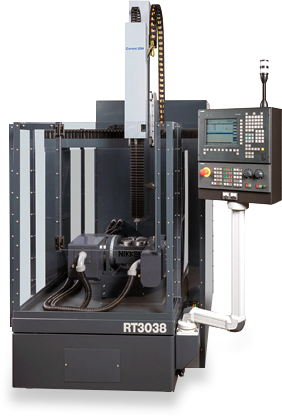 Our 5-Axis Current EdmDrill RT3038 is an American-Made, state-of-the-art EDM Hole Drilling machine designed for parts used in the Aerospace, Power Generation and Medical industries. With a work envelope of 30” x 38” x 24” XYZ and a 28” Z-Axis, this machine can drill holes from .004” to .256” in diameter and can handle your larger parts with superior location accuracy and diameter tolerances to ±.002”. Fully automated with an automatic electrode changer and breakthrough detection, this advanced machine can run unattended for hours delivering real efficiency and value for our customers. To learn more about the advanced EDM Hole Drilling technology available at Endeavor Precision please contact us today. We’d love to show you what we can do. The people at Endeavor Precision have been providing contract EDM services to produce precision components for years. Our team has the knowledge and experience not only to get the job done, but to get it done right and delivered on time. We understand that we are an important link in your supply chain, and that our performance affects your performance. That is why we go the extra mile and always keep our promises, whatever it takes. Our customers know they can depend on us, and so can you. "We love what we do, and it shows." Endeavor Precision offers you cutting-edge EDM technology. Our EDM Hole Drilling machine is designed specifically for the Aerospace, Power Generation and Medical industries, with the accuracy and size capacity you need. This fully-automated machine can drill hundreds of holes in a workpiece, in multiple diameters, and run completely unattended. We check every hole using our advanced Digital Optical Measuring System to verify dimensional accuracy and make sure that every part is in complete compliance with your requirements. No part leaves our facility unless it’s 100% correct; that’s just the way we do business. When it comes to EDM Hole Drilling, nobody beats the state-of-the-art technology and total quality you’ll find at Endeavor Precision. Our modern, automated manufacturing environment includes: 5-Axis EDM Hole Drilling, a 5-Axis Optical Inspection System, advanced CAD/CAM capabilities, and an MRP system to track our workflow in real time. Our manufacturing facilities are AS9100 and ISO 9001 certified and structured to “scale up” to grow with our customers and keep up with increasing demand. We can also provide machining services and processing in conjunction with EDM Hole Drilling, and we offer consultation services to assist your team during the design phase of a project. Most importantly we love what we do, and it shows. Providing our customers with outstanding service, top quality and exceptional value has always been a source of pride at Endeavor Precision. We want to be your first choice for EDM Hole Drilling, and our team stands ready to earn that spot. To learn more about the advanced manufacturing environment and unmatched customer service at Endeavor Precision please contact us today. We'd love to show you what we can do. 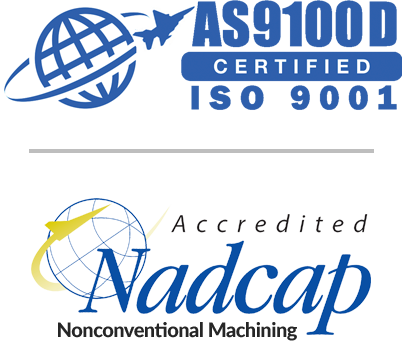 Endeavor Precision is pleased to announce our certification to AS9100D and our Nadcap accreditation for nonconventional machining. The AS9100 standard is controlled by SAE International and defines the quality management systems required for the Aviation, Space and Defense industries; and fully incorporates the ISO 9001:2015 quality standard. Nadcap is an industry-driven accreditation program established by SAE International and administered by the Performance Review Institute and intended for organizations doing business in the Aerospace industry. Our AS9100 certification and Nadcap accreditation are a real testament to the total quality environment at Endeavor Precision. The entire Endeavor team is committed to delivering reliable, top-quality service, and our quality management systems are in place to help us do exactly that. In our industry there is very little margin for error; our products are used in critical applications all over the world from turbine engines to medical devices. When you need quality you can trust, trust the team dedicated to providing you with a level of value and reliability that is second to none. Contact us today to learn more about the total quality environment at Endeavor Precision. Endeavor Precision has added a new Current EdmDrill RT3038 Large-Capacity EDM Drilling Machine. 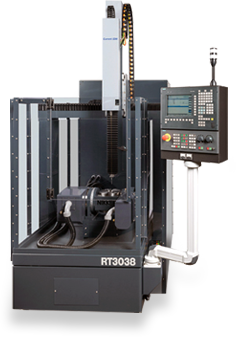 The 5-Axis RT3038 is designed specifically for parts used in the Aerospace, Power Generation and Medical industries. The extended W-Axis (vertical travel) on this machine enables very accurate positioning and drilling of difficult-to-reach surfaces and on extra-tall parts. 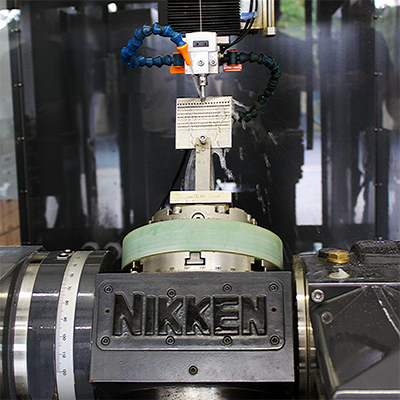 The machine also features a heavy-duty Nikken rotary table for superior accuracy and repeatability. Equipped with an auto electrode changer, breakthrough detection and a state-of-the-art Siemens 840Dsl controller, this advanced machine can run unattended for hours, delivering enhanced efficiency and real value for our customers. Best of all, this top-quality machine is designed and built in the USA. Our investment in the latest EDM Technology and our commitment to scaling-up to meet our customers’ needs is a key ingredient in our continuing success. You can trust Endeavor Precision to provide the service you need, when you need it. After all, it’s what we do best. In order to support our growing EDM Drilling operations, Endeavor Precision has installed a state-of-the-art Optical Measuring System. 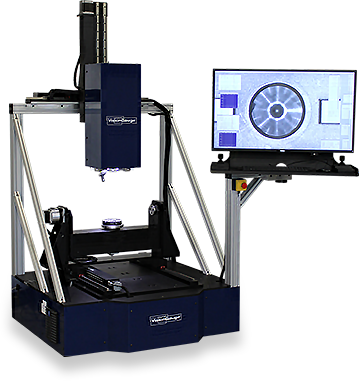 Our new VisionGauge VG700 Digital Optical Comparator is a fully-automated, 5-Axis Precision Inspection and Measurement System designed to check and verify the dimensional integrity of our EDM-Drilled holes. From simple to highly-complex hole patterns, this machine quickly and accurately inspects every hole on a part with powerful, adaptive feature-detection software; and generates a full inspection report with measurements, statistics, images and other data to provide you with complete digital documentation for every part. 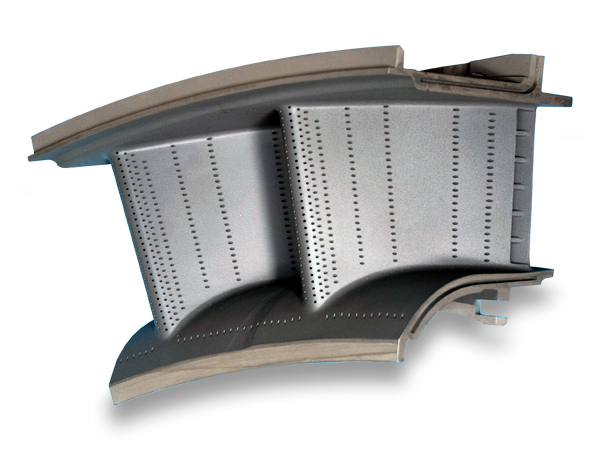 The parts produced by Endeavor Precision are used in critical applications all over the world, from Jet Engines to Gas Turbines to Medical Implants and more. There is no margin for error in what we do, and our investment in the latest Optical Measuring Technology is your guarantee that nothing leaves our facility unless it is verified to be in complete compliance with your drawing requirements. We stake our reputation on it. "Endeavor Precision is Growing to Meet Your Needs."